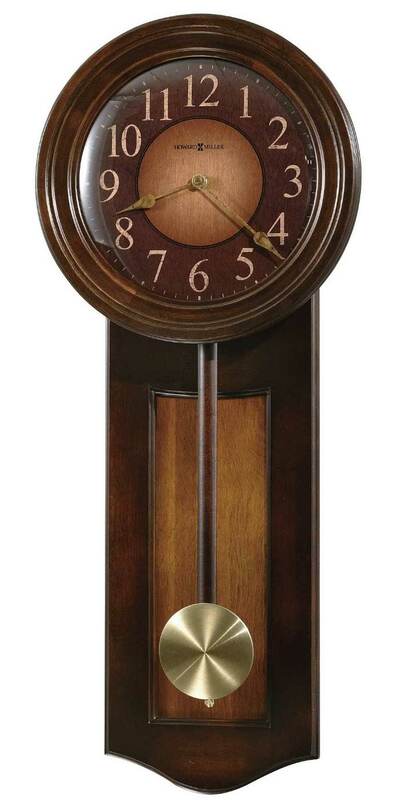 This dual tone wall clock features a handsome Rustic Cherry finish with a contrasting Vintage Umber inset panel. The wood stick moving pendulum features a spun brass-finished bob. Beneath a convex glass crystal, the dial features a two color wood-tone dial with gold Arabic numerals and aged brass-tone spade hands. Finished in distressed Rustic Cherry on select hardwoods and veneers. 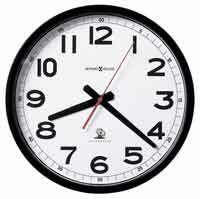 Quartz, non-chiming battery operated movement. 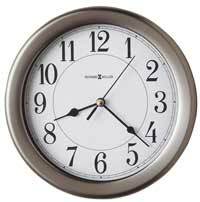 Size: H. 27-1/2" W. 11-1/2" D. 3-1/4"
Clocks for sale at The Clock Depot including the 625-385 at discount prices.